This is how to recognize a poisonous job situation and the steps to take in response. Don't let dysfunction and drama reign. Waking up every day and dreading going to work? You’re not alone. An international poll by Monster found that 42% of U.S. workers have left a job due to an overly stressful environment. 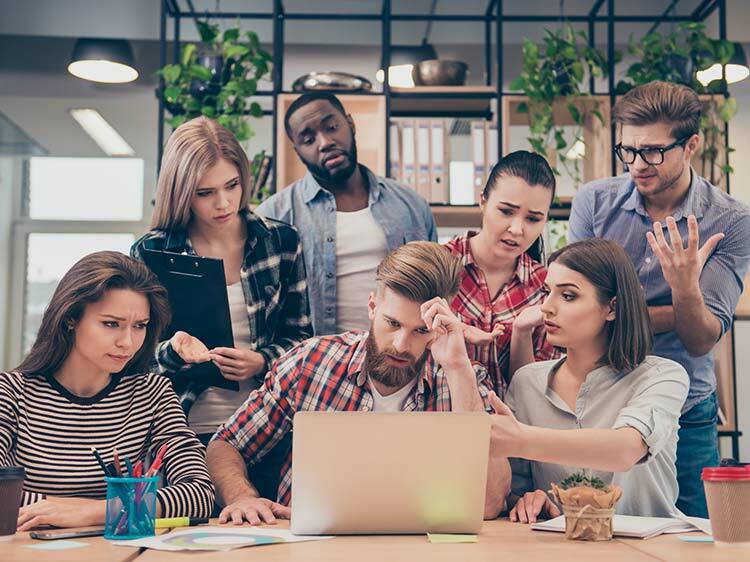 Furthermore, stress levels are often amplified when someone’s job eats into their personal time with friends and family, according to a 2017 Paycheck survey. It can be difficult, though, to self-asses your own stress levels. To get an accurate reading, take this short quiz from the American Institute of Stress. In a hostile workplace, employees are often overloaded with job responsibilities. Unfortunately, being overworked can lead to burnout and cause resentment: A survey from the Families and Work Institute found that 43% of employees experiencing high levels of feeling overworked say they feel angry toward their employers often or very often. Bullying runs rampant in toxic workplaces, says Mitchell Kusy, a professor at Antioch University’s Graduate School of Leadership & Change and author of Why I Don't Work Here Anymore. While 61% of bullies are bosses, 33% of bullies are peers with the same rank as their targets, and a surprising 6% of bullies are subordinates, a 2017 survey by the Workplace Bullying Institute found. Stop right there—office gossip benefits nobody. Still, many employees spread rumors about co-workers, whether it’s done intentionally or unintentionally. Regardless of what side of the gossip fence you’re on, it can create a toxic workplace, which contributes to the poison circulating. A toxic manager is someone who consistently hurts your self-esteem and routinely undermines your ability to put out good work. The concept of leadership clearly went directly over his or her head. You should be able to resolve many interpersonal problems without intervention. “Generally, your best first step is to have a gentle backstage conversation with the person who’s causing you harm,” says Sutton. But, rather than focusing on how someone’s behavior makes you feel, focus on the negative consequences of the person’s actions. If the direct approach is futile, you may have to get help from your superiors (assuming they’re not the problem) to resolve serious issues with co-workers. But before you request a meeting, there are a couple measures you should take. First, figure out if any of your peers are having similar problems. “The more fellow victims you have, the more power you have,” Sutton says. Obviously, you don’t want to bombard your co-worker; one or two representatives in addition to yourself should suffice. Second, gather hard evidence to prove your case. For example, if your colleague is frequently trying to sabotage your work by turning their assignments in late, compile emails that show times when this has happened and present what you have in the meeting. Some companies simply have a culture of dysfunction. If the toxicity is coming from the top down, you may be better off coming up with an exit strategy. Of course, it’s easier to get a job offer when you’re still employed—meaning you’ll want to have a job lined up before you put in your two weeks’ notice. Is your current job bumming you out? Need some help freeing yourself from its grip? Join Monster today. As a member, you can get job alerts sent directly to you, plus you can upload up to five versions of your resume—each tailored to different jobs that interest you. Recruiters search Monster every day looking to fill top jobs with qualified employees, just like you. Life’s too short to hate your job.